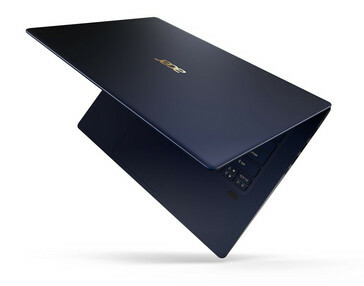 The updated Swift 5 ultrabook weighs only 2.2 pounds and promises to offer a battery life of 8 hours. Just as expected, it has an Intel Core Kaby Lake-R processor under the hood and runs Windows 10 out of the box. Acer has recently updated most of its portables with the 8th generation Intel Core processors, and the Swift 5 is one of these devices. According to the official press release, the refreshed Swift 5 provides "extreme portability without compromising on power." The new Acer Swift 5 weighs only 2.2 pounds and targets users who need portability and autonomy more than anything else. However, this machine also offers an estimated 40 percent performance increase over the previous generation, thanks to the new Intel Core processors. This performance increase has been measured by using SYSmark 2014 SE with the Intel Core i7-8550U pitted against the Intel Core i7-7500U. With a case made using various magnesium-based alloys, the new Acer Swift 5 has a backlit keyboard, WiFi 802.11 ac connectivity, Acer TrueHarmony with Dolby Audio Premium technology for improved sound quality, a multitouch full HD IPS display, and has been certified as a Skype for Business-compliant device. 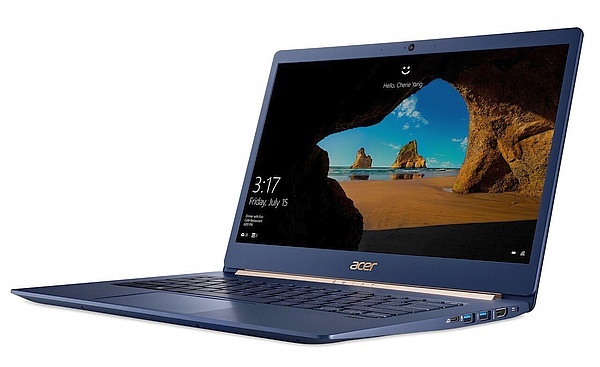 The current Acer Swift 5 models available in the US come with 8 GB RAM, 256 GB SSD, a 14-inch full HD display, Windows 10 Home, and 7th generation Intel Core i5 and i7 processors. Their prices start at US$699.99 and go as high as US$899.99. The updated Acer Swift 5 is scheduled to hit North America in December starting at US$999. However, the Chinese market is expected to get it in November.